What's the cheapest way to get a web presense ? I'm talking dirt cheap domain name with hosting and an easy website builder. There are plenty of free website builders out there such as Weebly, Wix, etc. Most of the hosting companies offer website builders with their hosting. Some of the hosting companies offer shared hosting which can get a little tricky sometimes and result in a slow loading website. I would recommend going with some of companies that have been around for awhile such as Hostmonster or Hostgator. Best thing to do is Google search and then compare yourself. The hosting and domain for 1 year. If you get the pack in an auction you can get it even cheaper. Yes ackerman, I just got a .com domain name for 20$ for one year. Stumbled on the offer and grabbed it right away. Now a days most of the hosting companies are offering free domain and website builders are free of cost but the renewal cost will be too high. I have 7 years experience with hosting industry. As per my knowledge Ipage and Bluehost are one of the best hosting companies. 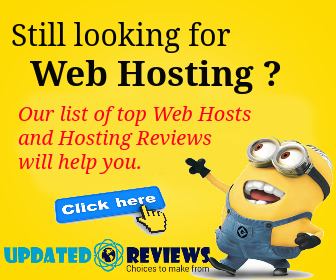 Also i have seen some genuine hosting review websites like http://www.whoishostingthis.com, https://www.ihostingreviews.in . Hope this will also help you. If you are just starting your web presence and looking for the cheapest option then you can go for free hosting service providers. There are many providers giving free hosting. Check the hosting directories like Thewebhostingdir to get list of free hosting providers. Understand the technology you are planning to use to your website, like if you are planning to use PHP, MySQL then you can choose Linux based hosting package or in case you are going to use Windows Asp . Net and MSSQL then you need to choose Windows based hosting packages. Check for the reliability of hosting service provider. Free addons such as domain name, email, site builder, marketing offers etc. If you are just starting your first website then I would recommend you to go with Shared hosting package because it comes with affordable rates and offers best features for starting websites, once your website grow bigger you can upgrade to higher end package. And for Best shared hosting service I would recommend you to go with A2 Hosting, one of the most reliable name in the hosting industry for cost-effective web hosing including shared server, cloud server, WordPress hosting vps hosting etc. What is the domain authority (DA) of a website?